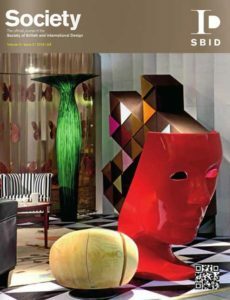 A lot has happened in five years since the launch of SBID and the changing face of professional interior design has now been recognised by the state in order to reposition the UK as a competitive industry provider at last. SBID will now continue in the promotion and celebration of interior designers and will further define exactly what a qualified designer is actually trained to do. In recognition of our status as the standard-bearer organisation for interior design, we have changed the format in this edition slightly and I am delighted to welcome a new permanent team at Society. We have succeeded in achieving our goal and I am still shocked and delighted that I have been awarded an OBE for creating SBID and achieving the national standard for interior design professional practice. It just shows you – we were being watched all this time!